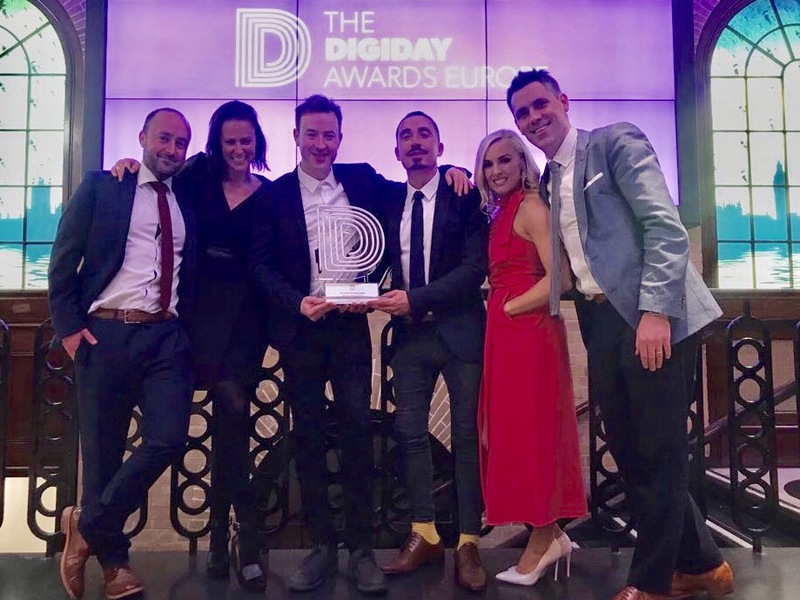 At last night’s prestigious Digiday Awards Europe in London, Maximum Media picked up the award for ‘Best Use of Video Content’ for The JOE Show (in association with Unilever’s brands Dove Men+ Care & Lynx) & SportsJOE Live (in association with Lottoland). The Digiday Europe Awards recognise publishers, advertisers and technology platforms bringing about change and innovation in Europe. Maximum Media, which was ranked the fastest growing media company in Europe by the Financial Times in 2017, was the only Irish publisher to win an award at last night’s event. The news follows Maximum Media’s win at last year’s Digiday Awards Europe for ‘Best Use of Social’ for its “Euro 2016” coverage, which was the first time in the history of the awards, that an Irish publisher was nominated and won an award at this event.